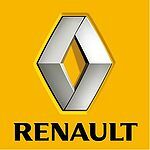 French automaker, Renault is planning to release a new model in the compact car segment in order to compete in the competitive Indian market in January next year. Renault is planning to launch its new Renault Modus during the Auto Expo 2012 in New Delhi in January. The company will also launch its sport utility vehicle (SUV) Duster early next year, according to deputy managing director, Renault group in India. The company had announced earlier that it will launch five cars in the Indian market in an eighteen month period. The company has already launched the Fluence sedan, and Koleos. Nissan Motors India has not been able to crack the competitive small car segment in the country and is planning to change that with the launch of new models. The car has been undergoing testing close to the Renault Nissan plant in Chennai. Even as the Modus is available in two variants, the Modus and Grand Modus in the international markets, the company will only launch the Modus hatchback variant in India. The new Nissan Modus hatchback might be powered by diesel Nissan Micra engine. The model will compete with the likes of likes of Honda Jazz, Ford Figo, and Hyundai i20. It will be the company’s first small car to be awarded 5 Star Euro NCAP rating. Mr. Rao also said that the company is aiming at 1,00,000 units sale by 2013 as against less than 1,000 now with only two product offerings in the country.